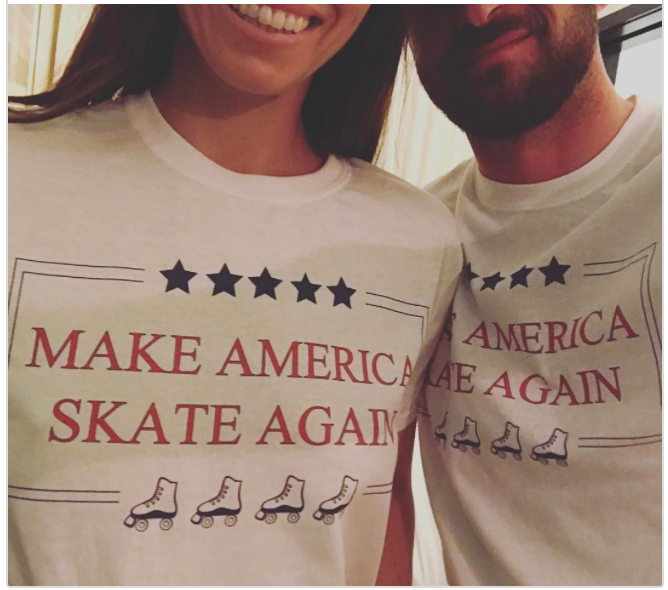 Justin Timberlake and Jessica Biel are making America Skate Again! 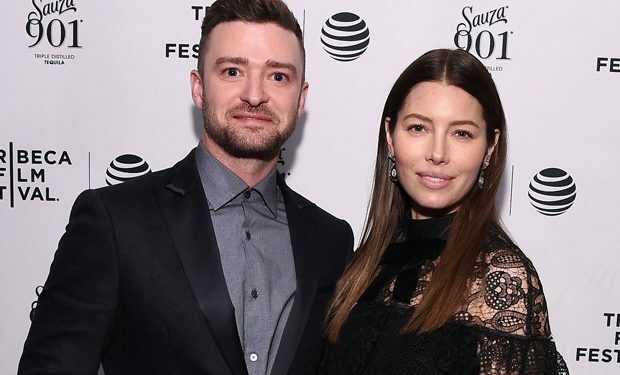 The actress turned 35 Friday and her husband threw her a fabulous roller-skating birthday party. Biel posted on her Instagram page an adorable photo of the two wearing patriotic-themed T-shirts bearing the words “Make America Skate Again.” She paired her look with ’70s-style shiny blue bell-bottoms. 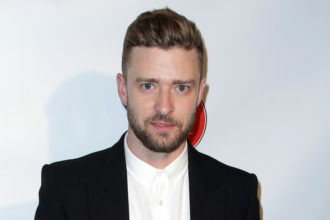 Timberlake, 36, posted on his own page a video of him skating in a red, white and blue jacket and calf-high socks, rolled up shorts and…is that a fanny pack we see?? That’s pretty bomb diggity. Picture: Who’s Sitting Next To Who At This Weekend’s VMA’s.